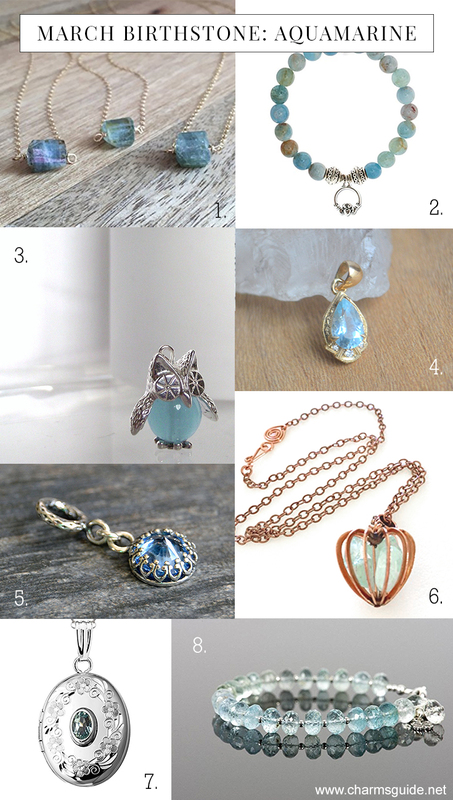 In the modern tradition, the birthstone for March is the gorgeous Aquamarine (in the mystical tradition it’s Jade and in all others Bloodstone – more on those in separate posts). 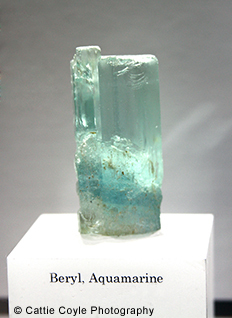 Aquamarine is a member of the Beryl family, which also includes Emeralds (green), Morganite (pink – purple), Heliodor (yellow), Goshenite (Clear) and Bixbite (red, very rare). Pure beryl has no color – these stones get their different hues from impurities, and in the case of Aquamarine it comes from iron. The stones are also almost always heat treated which enhances the blue color by removing some of the green and/or yellow that may be present. The word Aquamarine comes from the Latin aqua (water) and mare (sea) and it certainly is an apt description of the c olors of these stones, which range from a pale light blue to deep greenish hues. They are fairly abundant and are mainly mined in Brazil, but also in Madagascar, India, Nigeria, Russia, China and the US. The stones can come in huge sizes and it is not unusual to see large cut aquamarines of 40 – 50ct. Aquamarines can be quite affordable, but the price of course depends on size and quality. Greenish-blue ones with lots of inclusions are at the lowest end of the price scale, while clear (no inclusions), intensely sky and dark blue stones usually fetch the highest prices. 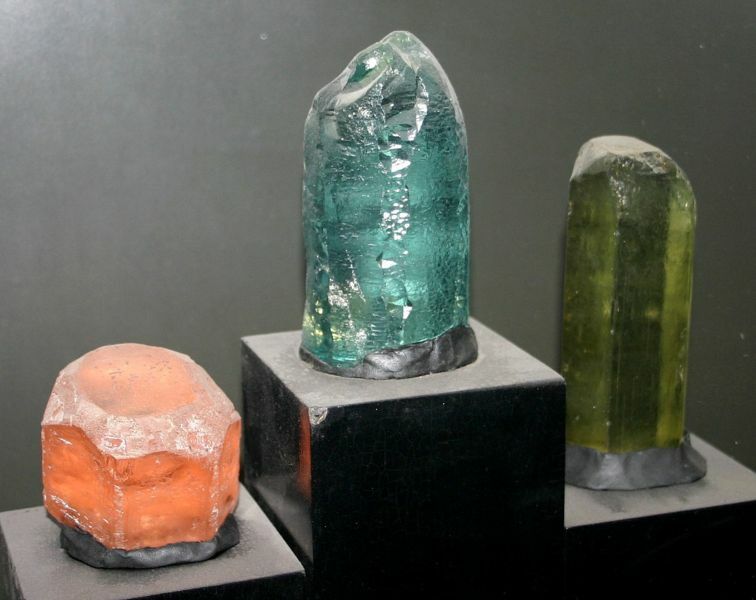 Having said that, beryl sometimes have inclusions that produce rare asterism (star) and cat’s eye effects, and aquamarines with either of those can be quite costly. Aquamarines are said to protect seafarers, enhance communication, help you stick to your goals in life, become less self-centered, alleviate depression and anxiety, calm fears, promote tranquility and a light heart and boost creativity and intuition. Holding an aquamarine while meditating helps you focus and go deeper into the meditation. It is also believed to help with the immune system (allergies), the thymus gland, spleen, heart, throat, lymph nodes, eye inflammation, arthritis, and varicose veins. In addition to being the birthstone of March, it is the planetary stone for Pisces, the state gem for Colorado, the birthstone for October in the Roman, Hebrew and Arabic tradition, and the 19th wedding anniversary stone. I love aquamarine and always carry a small rondelle with me when I’m not wearing aquamarine jewelry – I find it calms and centers me, especially when I hold it in my hand. Give it try yourself and see what you experience.